We provide a specialized, team approach to treating neuroendocrine tumors, also known as NETs. 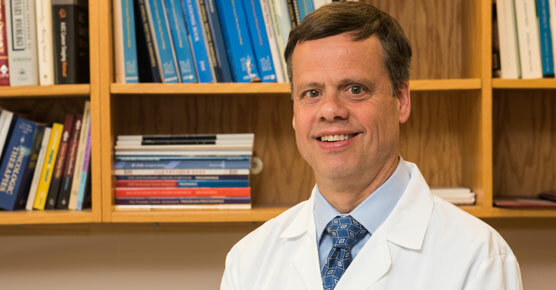 Endocrine surgeon Peter Angelos, MD, is an internationally respected authority on the treatment of endocrine cancers. Hormones made by the body’s endocrine system control a wide range of functions — metabolism, growth and reproduction, to name a few. These processes, however, can become disrupted when cancer invades part of the endocrine system. Some types of endocrine cancer are rare, and finding doctors who are familiar with these diseases can make a difference in your outcome. 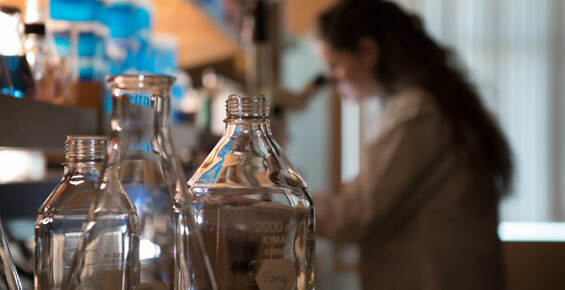 At the University of Chicago Medicine, our doctors treat hundreds of patients with endocrine cancers each year — more than most hospitals in the area. Thyroid cancers: Including four main types: papillary, follicular, medullary and anaplastic. Papillary and follicular are among the most treatable cancers. Von Hippel-Lindau disease (VHL): A rare genetic disorder characterized by abnormal growth of blood vessels and benign or cancerous tumor development in various organs, including the adrenal glands, brain and pancreas. UChicago Medicine is home to the only designated comprehensive VHL Clinical Care Center in Illinois. Our Endocrine Genetics Clinic offers risk assessments to patients with suspected inherited endocrine tumor syndromes. Patients meet with a certified genetic counselor to review family medical history and to discuss options for genetic testing. If a tumor or risk for disease is found, UChicago Medicine endocrine surgeons provide recommendations for disease management. Treatment for many endocrine cancers is unlike care for many other cancers. Because of the nature of endocrine cancer, therapy is usually led by medical endocrinologists and endocrine surgeons. At UChicago Medicine, a team of expert doctors collaborates on individualized treatment plans for patients. This includes targeting the cancer as well as normalizing hormone levels. Patients benefit from our top-notch radiologists and cytopathologists, who help diagnose endocrine cancers. Our team includes nationally recognized endocrine cancer experts who serve in leadership roles in prestigious organizations, such as the American Association of Endocrine Surgeons and the American Thyroid Association. Our doctors treat several hundred thyroid cancer cases each year. At the time of your visit, our medical endocrinologists may conduct tests using our in-office ultrasound and perform fine-needle aspirations. After reviewing all the data, the team of endocrinologists and endocrine surgeons makes recommendations about whether you need need surgery. 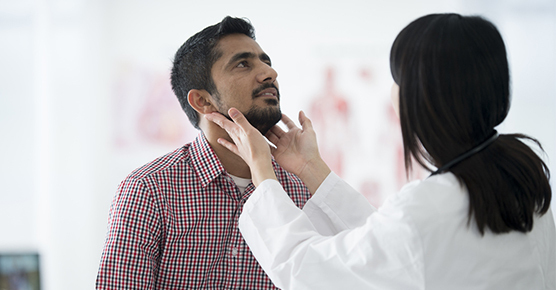 Surgery for thyroid nodules, or tumors, may include removing part or all of the thyroid. Some types of thyroid cancer require radioactive iodine after the surgery. During this treatment, which is administered by endocrinologists and nuclear medicine physicians, the patient drinks a liquid that contains a type of radiation, called iodine-131, that specifically targets the thyroid. This helps destroy any remaining thyroid cancer cells. For other types of thyroid cancer, external-beam radiation therapy or novel chemotherapeutic approaches may be used. Follow-up includes blood work as well as imaging tests. Most people also need thyroid hormone replacement following surgery. Our surgeons are among the most experienced in the Midwest and the nation. They regularly see the most difficult-to-treat cases and are highly skilled at performing various operations on the thyroid, parathyroid and adrenal glands. In particular, they offer advanced minimally invasive procedures that are performed through small incisions. As a result, patients experience less scarring and pain, and a quicker recovery. For instance, surgeons can remove thyroid cancer through very small incisions in the neck to achieve the best cosmetic effect. In select cases, our surgeons offer a truly scarless option to remove thyroid and parathyroid glands. Many adrenal tumors can be removed in a minimally invasive procedure that uses a laparoscope, which uses a small camera attached to a thin tube. Our medical endocrinologists are world-renown for their clinical and research experience with endocrine cancers. Scientists at UChicago Medicine have studied how thyroid hormones affect physical and mental health. They've also examined thyroid hormones at the molecular level, with funding from the National Institutes of Health. Endocrine surgeons at UChicago Medicine are also establishing a research database to follow patients during and after treatment. The results of this work will add to doctors’ knowledge of treating these cancers now and in the future. Find a thyroid cancer clinical trial.